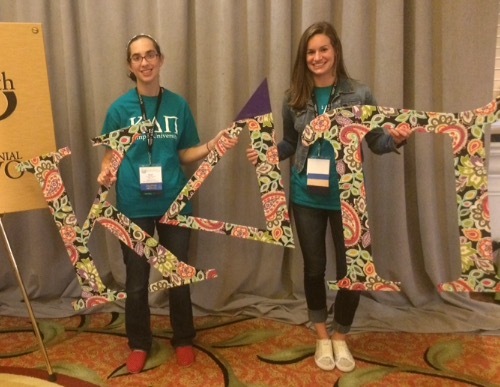 In October, we had the amazing opportunity to represent Niagara University at the Kappa Delta Pi (KDP) Convocation, or #KDPconvo15, in Orlando, Florida. Andrea Nicolia and I initially attended the conference to accept a Literacy Alive! gold award, from more than 150 submitted projects, for Alpha Alpha Beta Chapter at Niagara’s Halloween-themed children’s literacy program, “Spooktacular”, but was also invited to speak at the first ever Literacy Alive! Panel Session. Niagara’s Family Literacy Center, with partnership from the New York Power Authority, presented Spooktacular as an event that served local children in kindergarten through eighth grade. The focus was to encourage literacy in multiple formats, expose families to the importance of literacy integration, and stress the ease of incorporating literacy into their everyday lives while promoting the value of higher education. This was achieved through participation in a spooky story writing center, a Halloween read-aloud, and arts and crafts stations. Literacy Alive! 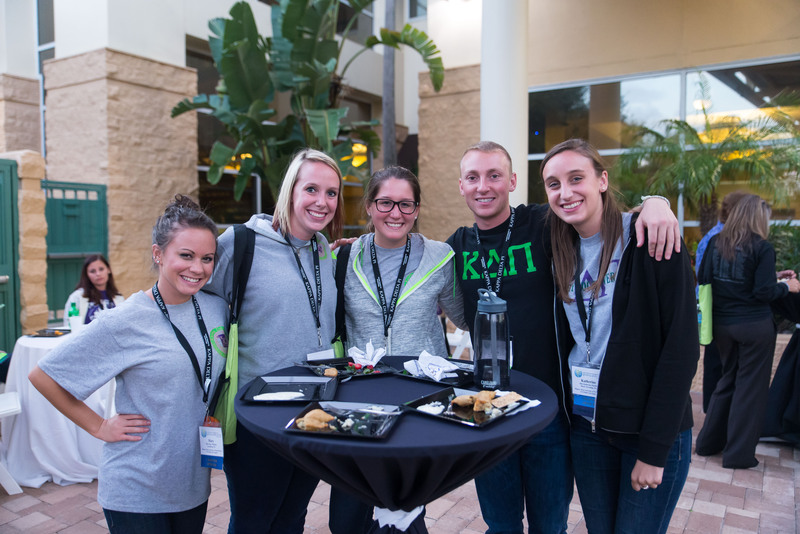 is KDP’s signature service initiative that invites its collegiate chapters and professional members to create different programs and events that empower literacy skills in their community. 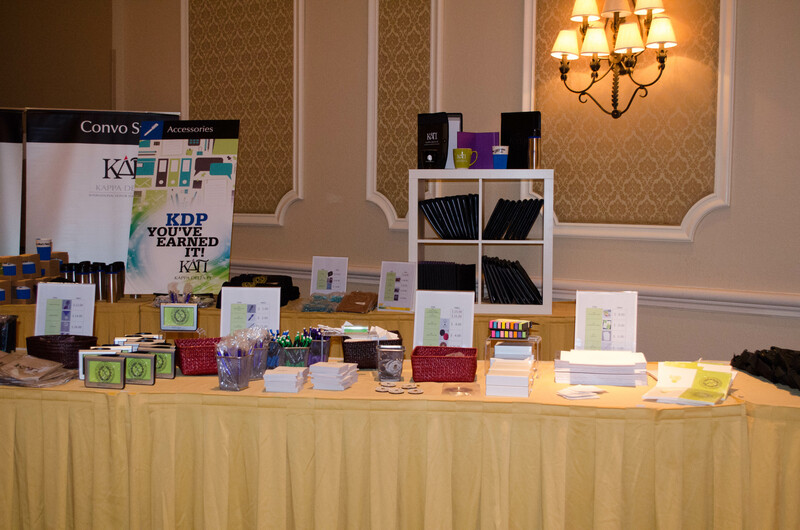 Through the work of all KDP chapter’s Literacy Alive! programs across the country, 44,625 books were collected for distribution and 57,052 people participated in the 2014–2015 award review cycle, alone! Jessica Bialkowski (left) is a graduate assistant at Niagara University and currently the vice president of the Alpha Beta Pi chapter. 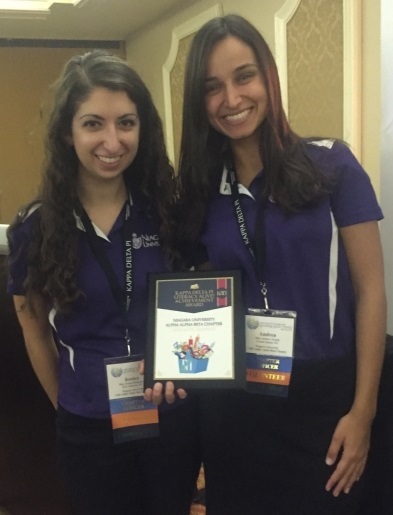 Andrea Nicolia (right) is a graduate student in Niagara’s School Counseling program and currently the president for the Alpha Alpha Beta Chapter. …and left us wanting more. Coming into the Convocation, we had no idea what to expect. In the end, though, we were very pleased to have spent 3 days listening to inspirational speakers, going to motivational workshops, and networking with KDP members from across the globe. Below are our highlights. Inspirational speakers: Over the course of Convo 2015, we were inspired from listening to several acclaimed educators, including the 2009 California Teacher of the Year, the 2015 recipient of the National Teacher of the Year, and a teacher from the heartening documentary TEACH. Each of these speakers encouraged us to never stop bettering ourselves for our students. These moving presentations marked some of the highlights of Convo 2015, during which we learned the importance of stepping out of our comfort zone, even if it means rapping to our students. 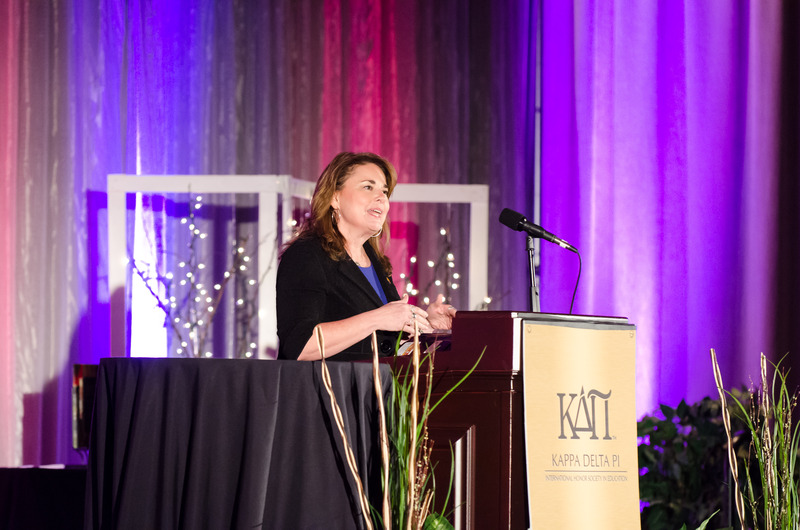 We even had the chance to speak with Shanna Peeples, the National Teacher of the Year, who taught us to never overlook our students, who all have a story to tell. Networking: We started networking with other chapters even before we expected to when we went to lunch and spotted the famous black KDP lanyards sitting right next to us (shout out to you, Saint Joe’s, Tau Omega Chapter!). Even though we are situated only 20 minutes from each other in Philadelphia, it took flying almost 1,000 miles away to join forces for both lunch and collaboration. And we exchanged program ideas with another chapter across the state, while our counselors bonded over their mutual love of the Pittsburgh Steelers (shout out to you, Mercyhurst University, Alpha Beta Pi Chapter!). Merchandise: Of course, we had to stop in the Convo store! For sale, they had t-shirts to help us rep the KDP letters, as well as water bottles with inspiring quotes, which people were nearly fighting over to grab. The best part of the onsite store? No shipping charges! We are already looking forward to Convo 2017 in our home state of Pennsylvania, in Pittsburgh. Hopefully, you too can become inspired and motivated . . . and maybe catch a Steelers game with our chapter counselor! Joan Fanwick and Danni Moser are juniors at Temple University. 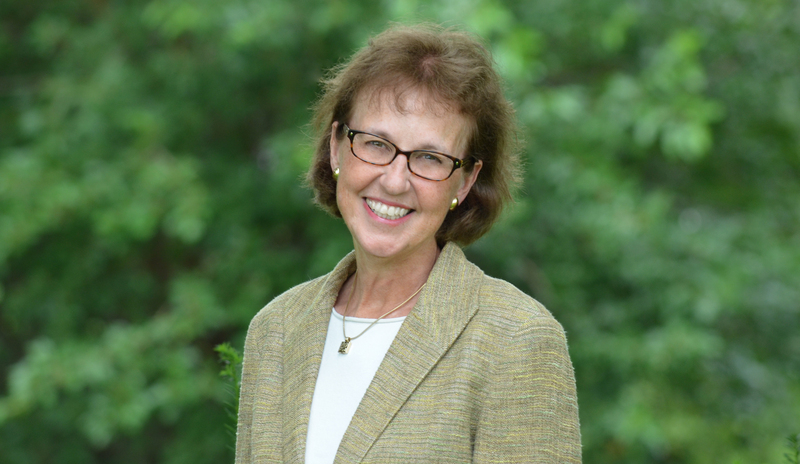 Joan is in the 4+1 program to get her master’s degree in Special Education in addition to her bachelor’s degree in Early Childhood Education. She serves as the Alpha Alpha Nu Chapter Events Coordinator. Danni is in the Early Childhood Education program at Temple. She serves as President of the Alpha Alpha Nu Chapter. 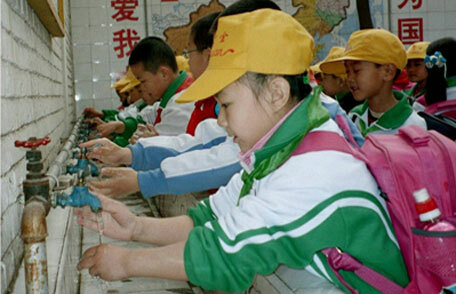 Global Handwashing Day is a way to support a global and local culture of handwashing with soap, shine a spotlight on the state of handwashing in each country, and raise awareness about the benefits of handwashing with soap. Since 2008, Global Handwashing Day has been celebrated annually on October 15 worldwide. Although people around the world clean their hands with water, very few use soap to wash their hands because soap and water for handwashing might be less accessible in developing countries. Even when soap is available, it might be reserved primarily for laundry and bathing instead of for handwashing. Washing hands with soap removes germs much more effectively. When you pack to come to #KDPconvo15, add a bar of soap to your luggage. Just one bar helps! Add your soap to the KDP collection bin in the Convo registration area of the Rosen Plaza Hotel. On Saturday, October 24, our collection will be taken to Clean the World’s facility in Orlando for processing. 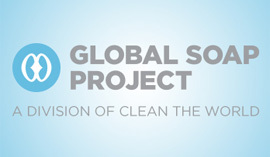 The Global Soap Project works with partners around the world to provide access to soap in a sustainable manner to enhance long-term and comprehensive local water, sanitation and hygiene programs. The recipients we target include maternal health programs, schools, community health providers, and nutrition programs. 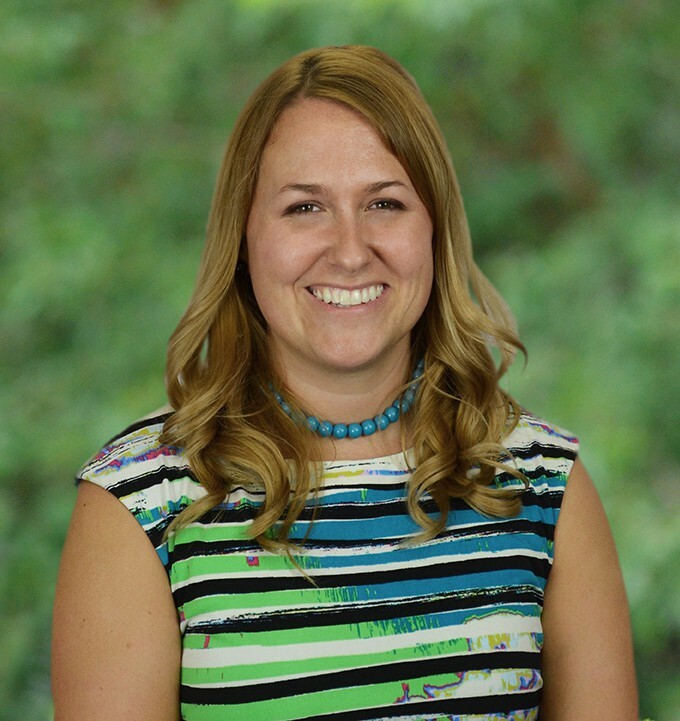 Kristen Jackson is Director of Advancement. 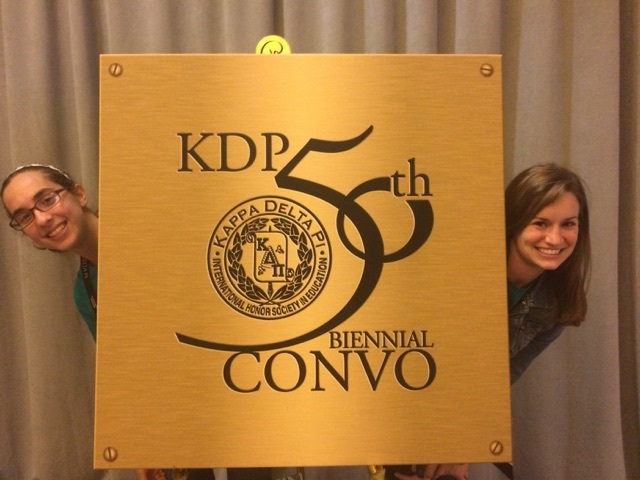 KDP Member John Lennon shares tips on how to get the most out of KDP Convocation. As a chapter representative attending Convo, you have a responsibility to gather knowledge and bring it back to the chapter. 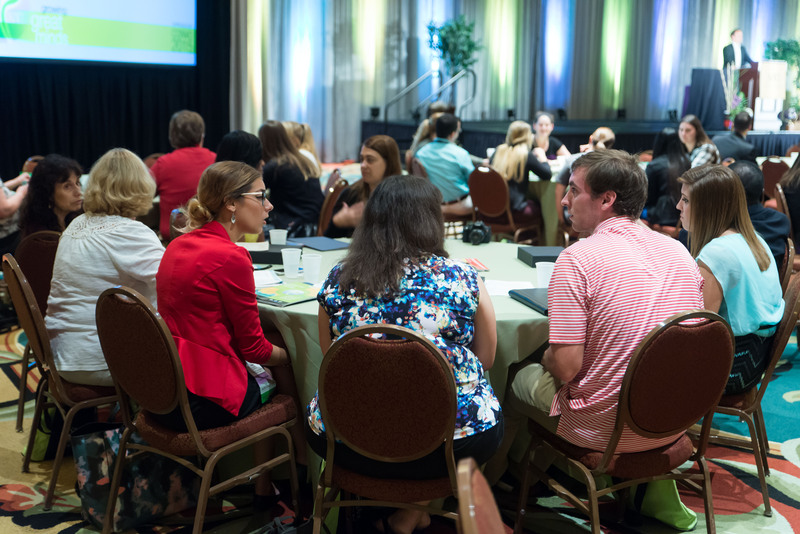 You also need to take advantage of the unique opportunity Convo provides to engage in professional development and grow your professional community. Check out John’s latest videos about setting both chapter goals and personal goals for Convo. Also, download the mobile app by going to http://eventmobi.com/KDPconvo2015. Kadelpian John Lennon is back with his next Convo video blog. John gives you 3 pieces of advice for chapter leaders attending Convo. Email John at lenno1jp@gmail.com. Register for Convo before August 31 to get the early bird rate: http://www.kdp.org/convocation/registration/index.php.